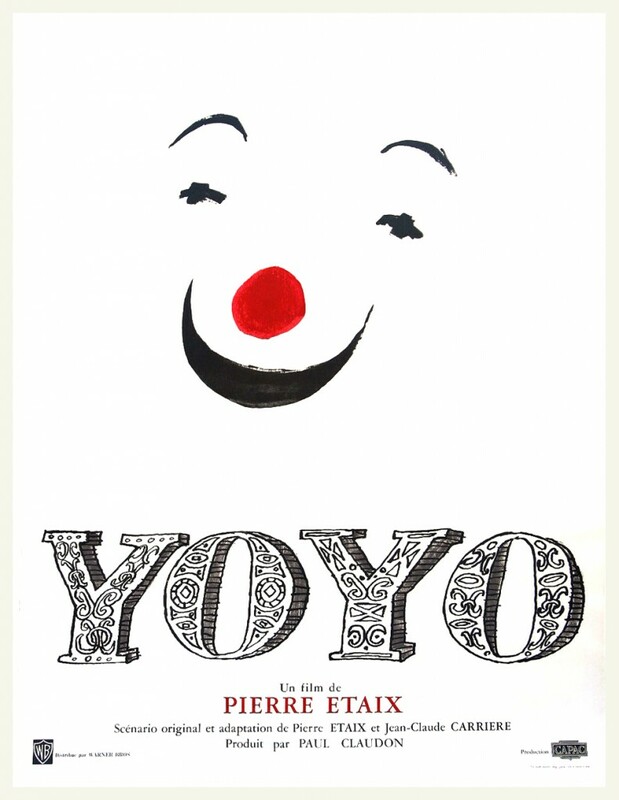 In silent movie style YO YO begins with a bored aristocrat (Pierre Etaix) sitting alone in his colossal château pining for his lost love (Luce Klein). Then one day fate brings the object of the aristocrat's affections, along with the traveling circus she now performs with and a son the aristocrat never knew he had, to his doorstep. But fate also brings with it the stock market crash of 1929. Now penniless, the aristocrat finally finds happiness performing with his family. And as the days of silent film give way to the advent of the talkies, so to does YO YO make the shift to sound. With that shift comes a shift in perspective, as we now see the story unfold through the eyes of an older Yo Yo, now played by Etaix. Despite a brief detour for World War II, the boy finds considerable success as a clown. Enough so that he decides to restore the family home, despite the magnitude of the task. But even if he succeeds, one has to wonder if the home bring him any more satisfaction than it did his father. It doesn't take long for it to become apparent that director/co-writer/star Pierre Etaix has stepped up his game as a filmmaker with this, his second feature film. Where his debut THE SUITOR felt like a collection of clever gags hung on the barest skeleton of a screenplay, here the plot is more complex and the characters more fully developed. Considerable attention is paid to getting across a central theme that money can't buy happiness, but without it feeling heavy handed. And while not as acerbic as Etaix's later film LE GRAND AMOUR, a fair amount of satire finds its way into the film in addition to the pratfalls and inventive sight gags. Where THE SUITOR felt very much old fashioned and dated, YO YO feels contemporary and vital, even when it's trying to replicate filmmaking techniques of the past. Of course in a comedy, the jokes are the thing, and the jokes in YO YO feel funny and fresh even 50 years later. Etaix is obviously a disciple of the silent masters like Keaton and Chaplin, but rather than simply crib from his inspirations he brings something of his own to the table. Etaix has a way of misdirecting the audience with his gags that can be truly surprising, at times turning what we think we're seeing completely upside down. That element of surprise is a large part of what makes watching YO YO such a greatly enjoyable experience, but it's the depth of characterization and theme that makes it stick with you. 4 out of 4 stars.